Which Golf Bag Is Right For Your Game? You want to play golf without a golf bag? You’d look pretty silly trotting down the fairway with a pocketful of tees, a couple of balls and a fistful of clubs over your shoulder. The simple answer: Get yourself a good golf bag. Golf bags come in a wide variety of shapes, sizes, weights and with lots of features from which to choose. But which one? There are so many to choose from, which golf bag is right for your game? It all depends on how you play, where you play, and what you carry. Do you walk the course? or ride in a golf cart? or do you prefer to use a trolley? pulling or pushing your way around 18 holes? Do you usually play 18 holes on a regulation course? Or do you prefer a short executive course? a par 3? The course will help you determine which clubs you might want to take along. 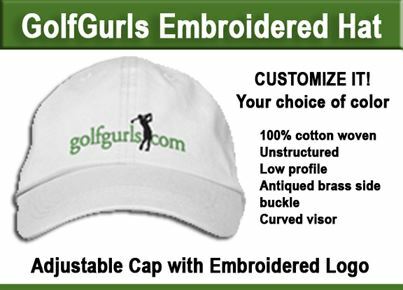 If you’re out for a full 18 on a 7,000 yard course and the weather in your part of the world is changeable, you might very well want to choose a bag that has lots of pockets for an extra sweater or rain gear, and to pack a lunch. But if you are a golfer who more often than not plays a short round of 9 after work on the local par 3 course, a “Sunday Bag” might be just what you need. We did a little research on some of today’s best bags and created this short podcast to help you decide. 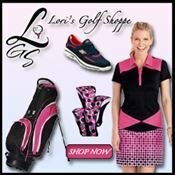 What's New in the Tech World of Women's Golf Clothing? ← Should You Take Golf Lessons? You are most welcome. Glad you are enjoying the site. When you buy those new clubs let us know how they are working for you.